There are plenty of places to play in Canada, as many golfers will see at the upcoming Toronto Golf and Travel Show. Destinations throughout North America covet the Canadian golfer, for their passion for the game and willingness to travel for great deals and greater layouts. Instead of flying south this spring, here are 5 reasons why you should stay in Canada and head west – Canada’s West, in Alberta for a golf vacation. 1) The view is stunning: 360-degree angles from any fairway or tee box in Alberta will yield views of majestic mountains, glacial lakes, pristine valleys, and wildlife on the courses. 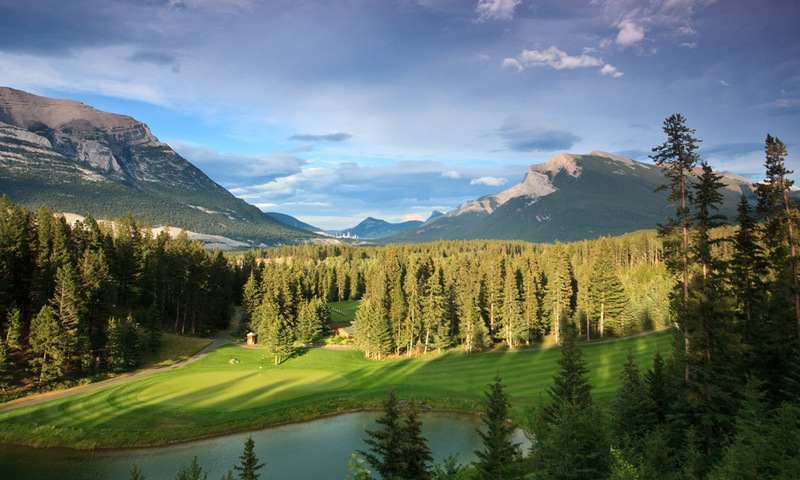 Bring your camera for such photogenic sites as the Devil’s Cauldron hole on The Fairmont Banff Springs course, or Stewart Creek’s namesake hole on the back nine. 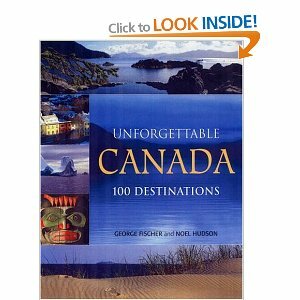 2) The variety of playing experiences along the TransCanada Highway: Travel from Calgary International Airport to Canada’s Route 1, and pass through Kananaskis Country, and the towns of Canmore and Banff. Six stunning layouts exist along the route, giving you a trail of greats that range in difficulty, price, and topography. 3) The after-golf life: A holiday in Alberta includes courses inside, too. Visit Silvertip’s Rustica Steakhouse, a Wine Spectator-recognized restaurant, The Fairmont Jasper Park Lodge’s new spa with golf-centric treatments, and Canmore Golf & Curling Club’s outdoor patio, voted “Best Deck” by locals in the know. We suggest you find a local Canadian brew to feel at home. 4) Tradition: There’s a good reason why the classic golf legends came to Alberta, to carve courses out of this landscape. Donald Ross, Stanley Thompson and Robert Trent Jones all made their mark in the Province. Explore North America’s early golf roots through the creative bunker placement, greens, routing and challenge found on each – we suggest you wear your plus-fours to immerse yourself completely, especially as The Fairmont Banff Springs celebrates 100 Years of Organized Golf this July. 5) Quality in Places, and People: Embedded into this community are those that love the game. Ask Alan Carter, Director of Golf and CPGA Pro of the Year, why he loves The Fairmont Jasper Park Lodge course, and he’ll most likely play with you, or provide you with a few tips. Darren Cooke at Canmore Golf & Curling Club has a few stories to share as they celebrate their 85th year this year, and there are plenty more to meet. Ready for the journey? 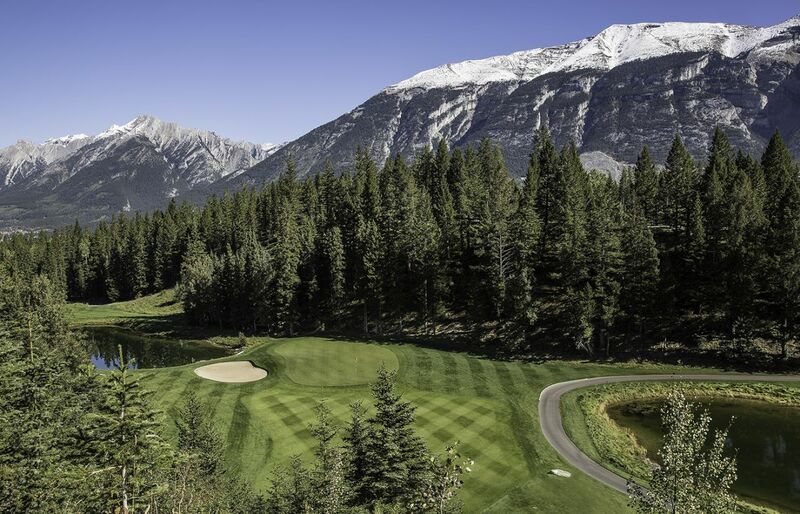 The Canadian Rockies Golf Consortia offers packages and tee times at eight different courses and six properties throughout Alberta. See www.canadianrockiesgolf.ca for a complete listing of courses, packages, and ideas for your next trip. Play Golf Alberta offers a one-stop website for on-line golf tee time bookings. It’s pretty useful if you are looking for a quick time!